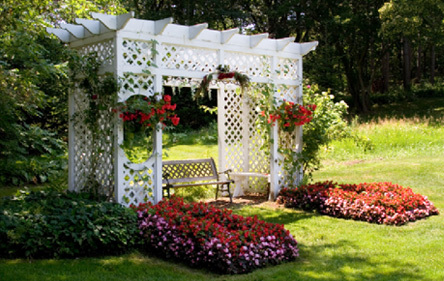 Pergolas or even arbors can transform an ordinary yard into a park-like getaway from the busyness of life. Usually made of wood and with latticework for climbing plants, our high-quality, well-constructed arbors blend more fully into the surrounding landscape with each passing year. Even better, arbors create additional usable outdoor space. ​​Our pergolas add visual interest to your home’s landscape, provides protection from the elements and increases your property values. If you need more space for entertaining or family activities, an arbor or pergola can be the perfect choice. A patio cover provides a useful transition between your home and the wide open spaces. It also makes outdoor entertaining and family fun possible even if the weather isn’t perfect. By making it comfortable to step outside even in the sun or during an unexpected rain storm, your home’s livable space expands when you install a patio cover. Call today to add interest to your landscape and increase your property value. Quality Fence Company in Milan & Jackson, TN · All Rights Reserved.